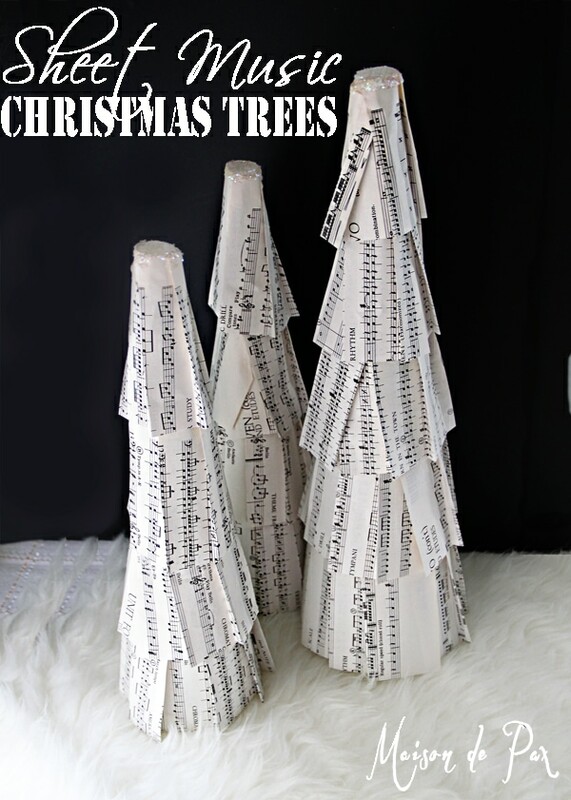 In fact, the pile of Christmas decorations, like my blue glitter pine cones and these sheet music trees, is growing to inordinate amounts in my laundry room as we speak. Oh. well. We are actually hosting 40 people for a Thanksgiving meal (don’t worry, it’s mostly pot luck; I’m just responsible for the turkey and ham… and my kids… and hosting… piece of cake ;)) this Thursday…. so the Christmas decor has to stay hidden at least that long. But I wanted to go ahead and share the tutorial on this one so you can make some for yourself! 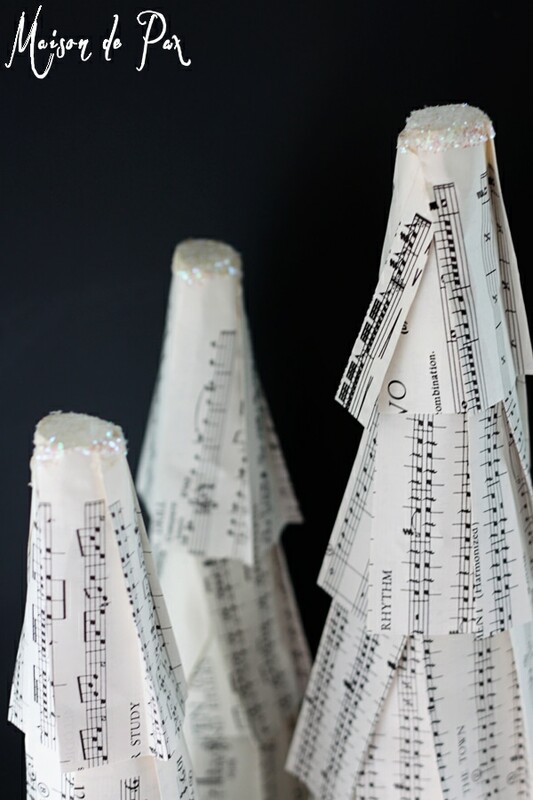 Decide the height of each layer and cut your sheet music accordingly. I cut my pages in half. 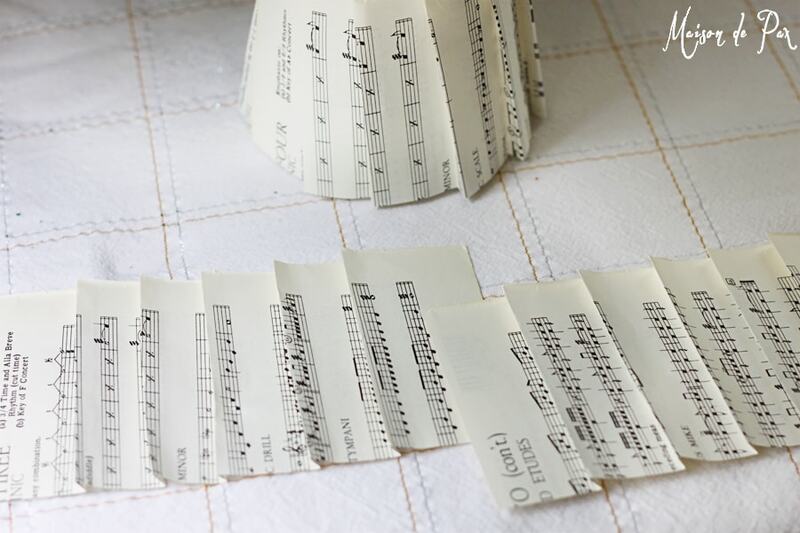 Fold your sheet music as desired. See below for further instruction. 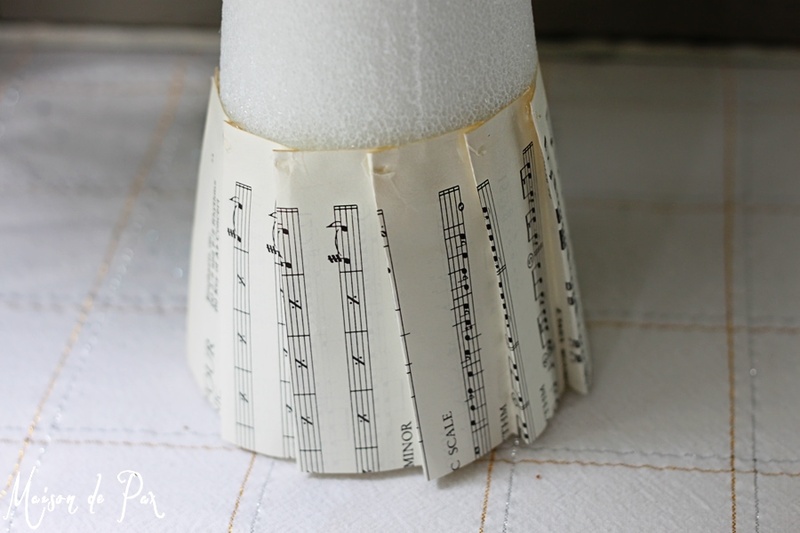 Glue your folds in place and glue the top edge only of the sheet music to the styrofoam form. See below for further instruction. It may take more than one piece to go around the tree. Just make sure you line up your folds accordingly. Glue the next row of music so that it covers the glued portion of the first row. And continue until you reach the top! Dip the tip of your tree in modge podge and then glitter. This is not necessary, but I found it a nice way to cover the top edge where the paper meets the styrofoam form. Spray the entire tree with acrylic sealer. Optional, but this will preserve your tree better. You could probably figure out how to copy these just by looking at the picture… but I do have a few specific tips (so you can learn from my slow discovery process!). 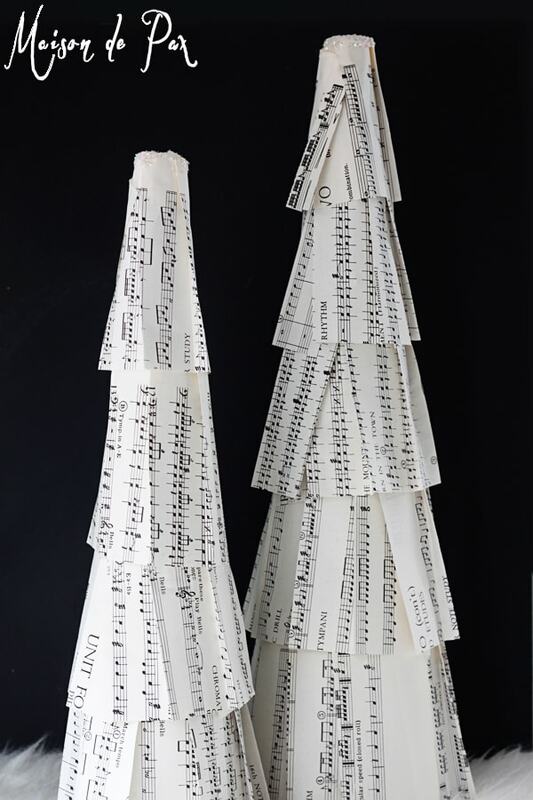 It’s very simple, but I love the visual interest provided by the music notes while the trees themselves remain neutral. 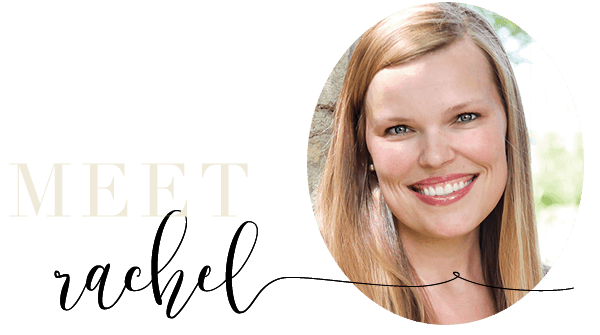 They look lovely on a mantel, shelf, or as a table centerpiece. I can’t wait until after Thanksgiving to be able to actually start decorating with them! What do you think? 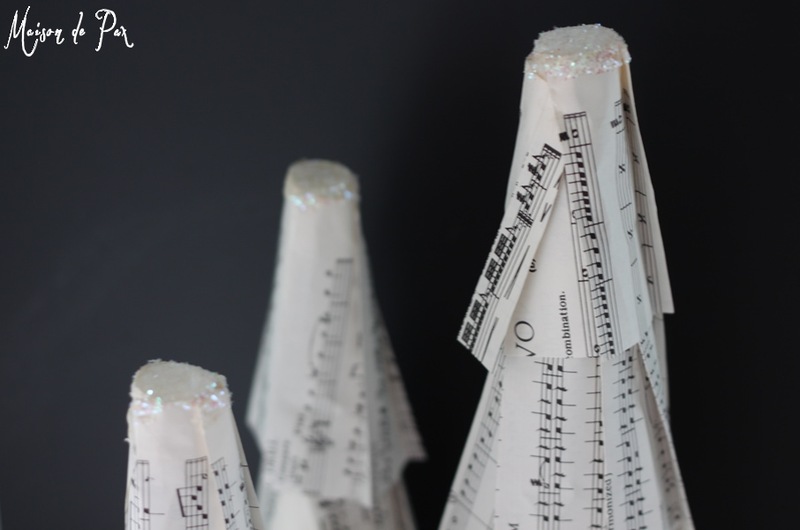 What other projects have you done with sheet music? Very pretty! I love the tops dusted with glitter. Pinned and I’ll share on FB, too.